Directly on the beach, this 6th floor Regency Towers condo has a great sunset view from the balcony and from the master bedroom. Sleeping up to 8, we have king bed, queen bed, twin bed, roll-away bed, & queen sleep sofa. With two full baths, washer/dryer, fully equipped kitchen, breakfast bar, & dinette set, you will find it hard to leave the room to go to the many popular restaurants located minutes away. From the kitchen window, guest bedroom window, master bedroom window and sliding doors, and living room sliding doors, this beautiful condo gives you many views of the ocean and surrounding features of the resort. Cable TVs, phones, vcr, ceiling fans, tiled wet areas, and tasteful furnishings make this a perfect choice for your family vacation where the beaches have the whitest, softest sands in the USA. Additional amenities at this condo include three pools, one heated; exercise room; hot tubs; game room with billiard tables; video game room; laundry center; social room; covered entries to the three high speed elevators; fully gated with security guard on duty; RV and boat parking; poolside snack bar; huge sunning deck below pools; lighted tennis courts; large screen TV in "Regency Room"; concrete picnic tables and grills in outdoor family area. Activities can include Parasail rentals, bike rentals, banana boat rentals, beach services (chairs and umbrellas), scooter rentals, jet ski rentals, Schooners Last Local Beach Club 10 minute beachwalk to the east, St. Andrews State Park a few miles to the east, fishing pier close by, Jetties in State park close by for fishing, Alvin's Island Beachwear Shop a few blocks to the east,great restaurants within 10 minute drive (Treasure Ship, Captain Andersons, Hamiltons, Scampys, Schooners), great fresh seafood markets to purchase steamed and seasoned scrumptious shrimp (Cardenas & Shrimp City), amusement parks, golf, putt-putt, go-carts, bungee jumping, Super Wal-Mart is just a short ride away, Silver Sands Outlet Mall is 45 minute drive. 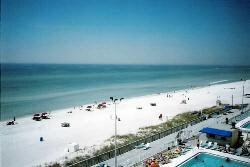 Located at 5801 Thomas Drive, PCB, The Regency Resort is about 20 minute drive to the airport in Panama City. Beds: king bed, queen bed, twin bed, roll-away bed, & queen sleep sofa. Refundable security deposit required with all rentals. Deposit will be returned within 2 weeks after departure. Rates may vary between seasons so email for current rates. 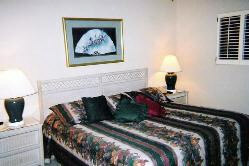 10/22/05 to 12/1/05 - Nightly.... $69 - 4 nt minimum stay may apply to rate, holiday rates additional, email owner. 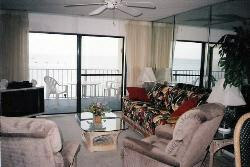 3/04/06 to 4/22/06 - Weekly.... $1099 - Taxes, cleaning, & spring break fees may apply, email owner. 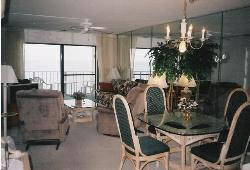 5/22/06 to 7/31/06 - Weekly.... $1260 - Taxes & cleaning fees to be added, email owner. This Florida Vacation Rentals listing site features homes, townhouses, villas, condos and island properties with beachfront, beach view, waterfront, and pools including this Panama City Beach, FL Regency Towers Condo. 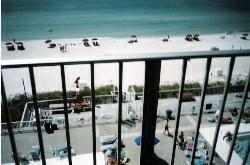 CLICK FOR MORE LISTINGS at Panama City Beach Vacation Rentals. Review many vacation cities and towns at your fingertips.